The way RCE works is it looks to see if the player was hardware coded for a specific region or if it is a multiregion player. DVD players have a processor very similar to your computer. While they do run programs as sophisticated as your computer it does execute coded instructions. All DVD players have an internal memory register similar to those that have been in use since the beginning of the home computer. If your DVD palyer is set to one region one of these registers will always have the region code ID. For multi-region players the player's software can be set to a specific region code. When you put in a DVD to play it usually has a region code as part of the many files contained on a typical DVD. The DVD player compares this code on the disc with the one set in the register of the player. 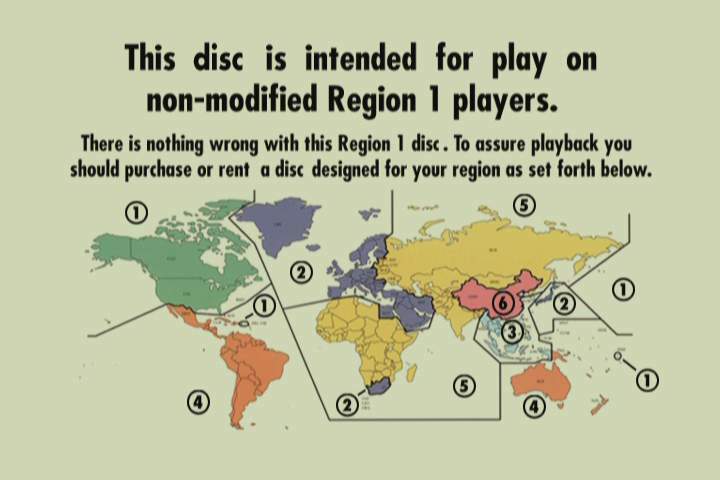 On some discs more than one region code may be present. For example, it is not uncommon for discs to have both region 2 (UK) and 4 (Australia) on the same disc. When the disc is loaded the software compares the codes on the disc with the one set in the player's register. If they match all is well and you start to enjoy the disc. If they don't match the disc is rejected. Every DVD player manufacturer has to agree to set only one code in the register. There are three common hacks or ways around this restriction. The first is to manually set the region code by means of a hidden menu or series of keystrokes. This can involve the installation of a special software chip or some other way to provide this function. Of course, this is illegal and will void your warrantee. This method is currently believed to be undetectable by the DVD software interaction between player and disc. Don't count on this. You can spend a few dollars on the chip or other modification but you can be sure the studios and DVD player manufacturers are spending millions on detection. Some players have rather undocumented ways to manually set the region code. The second way is to set the region register to all seven possible codes: 1,2,3,4,5,6, and All. This way is easily detectable and is the focus of RCE. The last way is using zone switching to query the DVD for the list of acceptable region codes and set player's register to the first valid code located. Since the primitive programming language of the DVD player is a lot like the old DOS batch file language it can be manipulated. Normally this language checks the codes and branches accordingly. What Region is this player? If Player Region = All, 6, 5, 4, 3, or 2 Then Display RCE message and stop. If Player Region = 1 Then Go To Main Menu and playback normally. If you manually set the region code (hack option one above) then when you set the player to region one the software sees this as okay and the disc will play. The software query would succeed. If hack option two, all zone setting, is used then the player query would pass but the disc query would fail because the check for region 6 occurs before checking for region one and while the disc says its region six the player reports region 1. This results in the display of the below screen. With zone switching the results are less predicable. If the disc has no region code as in RCE discs then it depends on how the modification sets the players region register. If it sets it to region one the disc will most likely work. If you just played a region 4 disc and then insert a RCE disc the register may still have 4 in the register and the disc will fail. A bit complicated but such hacks usually are. If you are interested in a workaround for a specific player let me know. I cannot endorse such modifications but it is your warrantee.